Bring the kids along to Melbourne Zoo and Eureka Skydeck 88. 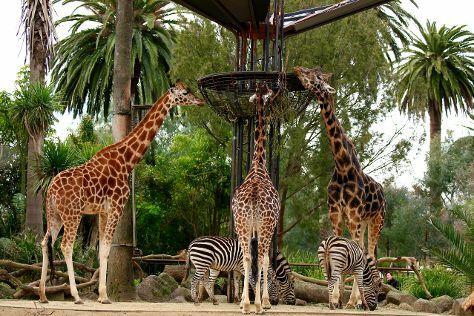 Step out of Melbourne with an excursion to Werribee Open Range Zoo in Werribee--about 42 minutes away. On the 18th (Thu), give your taste buds a day to remember with a local gastronomic tour. Dedicate the 19th (Fri) to wine at some of the top wineries in the area. The adventure continues: take in nature's colorful creations at Royal Botanic Gardens, contemplate the long history of Old Melbourne Gaol, see the interesting displays at Melbourne Museum, and don't miss a visit to Block Arcade. To find traveler tips, maps, other places to visit, and more tourist information, go to the Melbourne itinerary planning website . Burnie to Melbourne is an approximately 4-hour flight. You can also drive. Traveling from Burnie in April, plan for a bit warmer nights in Melbourne, with lows around 11°C. Wrap up your sightseeing on the 21st (Sun) early enough to drive to Torquay. Start off your visit on the 22nd (Mon): kick back and relax at Bells Beach and then take a memorable drive along The Great Ocean Road. For traveler tips, where to stay, more things to do, and other tourist information, go to the Torquay trip itinerary planning tool . You can drive from Melbourne to Torquay in 1.5 hours. Other options are to take a bus; or take a train. In April, plan for daily highs up to 24°C, and evening lows to 11°C. Wrap up your sightseeing on the 22nd (Mon) to allow time to drive to Warrnambool. Warrnambool is a regional centre and former port city on the south-western coast of Victoria, Australia. Kick off your visit on the 23rd (Tue): don't miss a visit to The Grotto, then contemplate the waterfront views at Bay of Islands, then see the interesting displays at Allansford Cheese World and Museum, and finally stroll through Lake Pertobe Adventure Playground. Get ready for a full day of sightseeing on the 24th (Wed): head off the coast to Griffiths Island, visit a coastal fixture at Griffiths Island Lighthouse, then identify plant and animal life at Tower Hill Wildlife Reserve, and finally grab your bike and head to Foreshore Promenade. 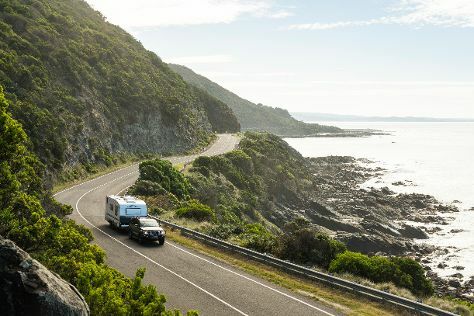 To find traveler tips, photos, maps, and other tourist information, read our Warrnambool driving holiday planner . Getting from Torquay to Warrnambool by car takes about 2.5 hours. Other options: take a train; or do a combination of train and flight. Finish up your sightseeing early on the 24th (Wed) so you can go by car to Ballarat. 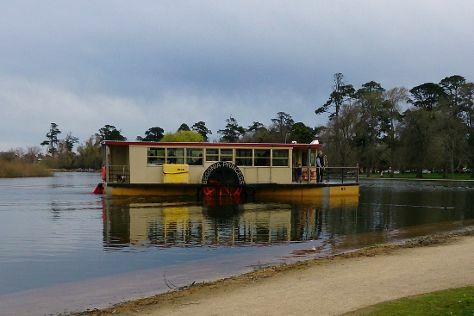 On the 25th (Thu), contemplate the waterfront views at Lake Wendouree, don't miss a visit to Australian Ex-Prisoners of War Memorial, and then admire the natural beauty at Ballarat Botanical Gardens. Here are some ideas for day two: contemplate the long history of Sovereign Hill and then identify plant and animal life at Ballarat Wildlife Park. To find other places to visit, ratings, more things to do, and tourist information, you can read our Ballarat road trip website . Drive from Warrnambool to Ballarat in 2.5 hours. Alternatively, you can take a bus; or do a combination of flight and train. In April, daytime highs in Ballarat are 24°C, while nighttime lows are 11°C. Finish your sightseeing early on the 26th (Fri) to allow enough time to travel back home.